2017 is marked by the centenary of the October Revolution, a historical event whose consequences reverberated across the globe through the twentieth century. Radical political upheaval was preceded by tectonic shifts in all spheres of culture, by symbolic revolutions in art, language, ways of thinking, and everyday practices. The advances and conflicts of modernity were expressed in the most visible forms in the anthropological and cultural project of the Avant-garde movement. In Russia, there exists an established tradition of approaching Avant-garde primarily within the art history. However, today we can see how interdisciplinary approaches to complex phenomena of culture such as avant-garde movement that combine methods of social sciences and humanities evolve in anthropology, cultural studies, history, and philosophy. Avant-garde projects comprise, on the one hand, intellectual utopias and artistic manifestos and, on the other, practical realization of these ideas in works of art, buildings, and everyday practices. Soviet Constructivism, which is inseparable from the global wave of modernization in the 1920s and entwined with Socialist modernity, remains of vital importance for understanding the Avant-garde history. Constructivism was a philosophical and cultural project of recasting the human life through integrating contemporary cultural resources and modern industrial production. It sought to turn culture and art, in particular, into an experimental laboratory for designing new forms of social organization and practices, which would then transform the fabric of the whole society. Soviet Constructivism found its expression in the art (theater and cinema, photography and painting, music and dance, literature and poetry) as well as in many aspects of the everyday life (architecture and design). Ekaterinburg offers some of the most intriguing sites of Soviet Constructivism, where revolutionary ideas were realized in architectural complexes and districts that survive until today. In modern social sciences, the public sphere is understood as a complex of institutions and practices that serves as an intermediary between society and individual actors. It is in the public sphere that common opinion is formed, which legitimizes or questions the legitimacy of a state’s actions. Secularity is a systemic feature of the public sphere because the public sphere emerges from individuals’ communication without any transcendental principle. The efficiency of the public deliberation hinges on the fact that it is conducted within the rules of rational discourse. Yet, in the modern world, religious speakers are more and more vocal in the public debate and claim an equal right to be heard in discussions on vital political and social issues. Moreover, religious identities become decisive motives for individuals acting in their official and institutional positions. This situation brings forth a problem – both theoretical and practical – of forms and methods of coordinating the relation between rational public discourse and subjective religious preferences. 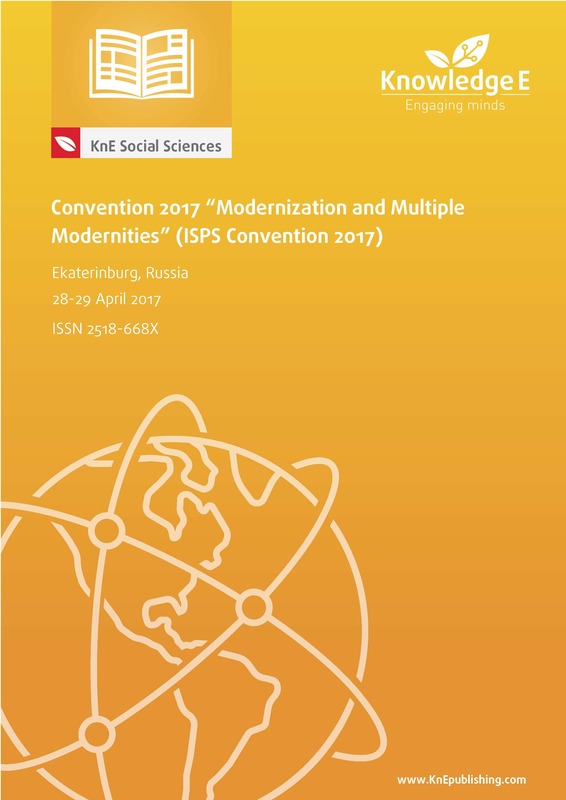 Indexing: The ISPS Convention 2017 Conference Proceedings are indexed in Web of Science (by Clarivate Analytics, formerly Thomson Reuters and ISI). A Heritage, a Project, an Art Space: How White Tower is Describing Now?